Honestly, where do product planners come up this stuff? Okay, this post is mainly leveled at the Vajra though there may be other vehicles that fall into this catagory. I've thought about this for awhile now, but I keep wondering...who thought the Vajra was a good idea? Where is the market for this truck? Was the market research team on vacation that week? Tamiya usually has motive (sell models of course) behind their release decisions. Yes, I'm happy they gave us alot of great re-res. I mean wow, who could have imagined a Sand Scorcher re-re five years ago? There have been some good new releases over the past couple of years too. I'm not crazy about the Holiday Buggy/Sand Rover Blackfoot 3 releases but I can see their point. I understand Tamiya both capitalized on the retro boom and did so by merely using currently available chassis to save cost and maximize profit while boosting sales. Some folks love these new versions and that's great. Where did this Vajra truck come from? On the surface its a parts bin special, the gist being to spread out the cost of re-releasing the Avante. But who, who I ask you will buy it? If the Avante has sold well (I don't claim to know the numbers) it is because of its nostalgic appeal and place in RC history. It isn't cheap, but nostalgia goes a long way. The Vajra cost MORE and lacks all the appeal of the Avante. Unless a collector is dead set on owning all the Avante series vehicles I can't imagine who'd buy it. Its outdated right out of the gate. It doesn't reach out to vintage folks, racers or backyard bashers. Where's the market? Do the consumers in the home market have alot more disposable income for such things? I'm not trying to bash Tamiya marketing, just trying to understand. I have the same thoughts about this model. I have been waiting for one to turn up on TC, but it may be awhile. It's not a re-release of an original, so what is it, it's a now dated design trying to compete with modern designs, but at twice the price. 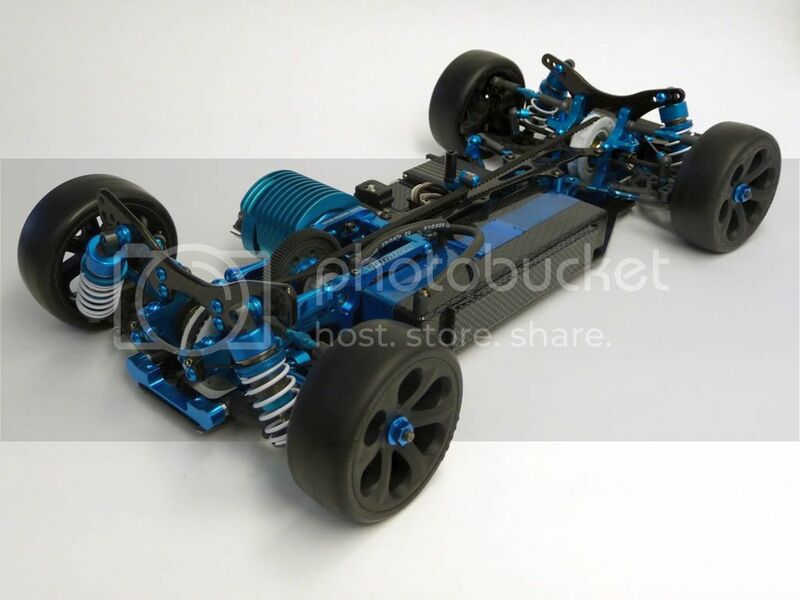 If Tamiya had to make another model on this chassis, I think they should have released it with a more period correct body/wheel style. They have shown us that they have no problems releasing old bodies on cheap chassis, but why not old bodies on expensive chassis? How much better would this model have been if it had something like a Nissan King Cab or Toyota Prerunner body and wheels on it? Have you sat through any marketing "brainstorming" sessions or been in product development meeting where marketing shows up? Okay, they aren't all that bad but the marketing people I have dealt with have very little grasp of reality. Incase it isn't obvious, I agree with you. OK, how about a little flashback to Sesame Street - feel free to sing along. Which one of these things does not belong? Which one of these things is not like the others? Which one of these things does not belong...? Vajra. Saint Dragon. Wall Hugging Mouse. Sand Scorcher 2010. The Vajra is made to appeal to people who also like the Proline 'Carnage' bodies , as that was missing in Tamiya's lineup. (A Striker re-release would be overdoing it a bit though They will re-release the Striker if the Vajra turns out a success, the Vajra is only to warm up this market for something that breaks down as realisticly and frequently as a Striker). However, we wanted to make the experience of cars breaking down even more realistic. After all, Tamiya has a heritage for 'scale' and 'realism.' For that, the Avante was perfect, and even more so because the sales numbers of that were a tad lower than expected. There was a small problem though: We needed to keep the cost down, so a realistic body was out of the question, it would've made the Vajra rather expensive. Besides, people wouldn't want to thrash a realistic and nice looking body anyway. My answer is why not? Ok its parts bin,so they are not really spending anything,the few parts that the had to make for it were easy enought to make. Hey, I like the wall hugging mouse! Ah, the "why not?" factor. Fits in with the "because we can factor". I see your point. Still one can't help but wonder if re-releasing another Avante-series buggy would have been a better move. If they were willing to make the plactic suspension bits for the Vajra why not a Vanquish? I don't think Vanquish numbers would nessesarily top those of the Avante but at least they'd move some of them. This truck? I don't know. Perhaps, as previously stated, the marketing guys came up with this wild idea and the rest of the board said "we've got the parts so why not?" I have seen the Varja in the flesh at the Euro Finals in Switzerland. It's actually ok and the wheels are not as big as they look in the photos. About King Cab size. It looks like a Traxxas on the surface/size and I can see the type of buyer they are likely to attract. New to Tamiya and drawn by the big soft sprung go anywhere truck thing. It looked quite reasonable body on. Body off it looks strange to me, knowing the original Avante. However if you don't know, I think it probably looks quite techy for your money. Still don't think it will take Traxxas type big jump abuse tho. It's all a bit strange when everybody else goes scale looking, Tamiya sticks the wheels outside the bodyshell on a short course truck...put's the Blackfoot shell on a chassis with a longer wheelbase and the HB/SR are also having their wheels outside the wheel arches. If, as the Tamiya man said, T is about scale looking vehicules then there is clearly a misunderstanding of some sort. The thing is that Traxxas will do a better job of attracting that same buyer since their trucks look the same and actually have the capability to "go anywhere" without coming back in a million pieces. Not to mention at a lower price point. So if Tamiya's attemptine to compete with Traxxas, what sense does it make to release a worse truck for more money? Bingo. That was one of my thoughts when trying to come up with who this truck is aimed at. A less durable vehicle with a stratospheric price tag? As far as wheels hanging out beyond the bodywork...maybe Tamiya is regressing to their early rally car days such as the original Lancia Rally, Quattro and Opel. This product was not aimed for towards us, hence we are not interested and appears to make no sense to us. We don't know how Tamiya makes its decisions, but the bottom line is, all the product planner(s) has to do is to convince the person or committee that has the final say in releasing or not releasing the product. If the product planner does a good job in presenting the product, back it with quantitative and qualitative facts and figures, the product will likely be released, especially if the boss thought it could be a good ideal to release it. I guess Tamiya can't hit a home run for every product it releases nor is it possible for a product to satisfy all consumers, we always have something to ***** about. I'm not really complaining about the introduction or looks of the Vajra. There are lots of vehicles that Tamiya puts out that don't hold interest for me or others but I don't feel they should cater to my specific wants and needs. I was just merely trying to see the point of it. The first Avante had a clearly defined audience even if it didn't really succeed at its intented mission. To be honest, if Tamiya did built something Traxxas-like with similar durability and price, I'd go for it. I'm was not dissappointed in the Vajra just baffled by it. Tamiya stopped making R/Cs after 1993. That is the Rule, everything since then is a horrible horrible lie. Hey! That 5 minute lash up job you did in your shed doesn't count! Because its an extremely expensive truck (or at least was last time I looked) that's highly unlikely to sell well? That to me would answer why not. The initial question of what's the point of it seems a legitimate one. The area of the market this truck is presumably aimed at is made up of far far better looking, probably better performing and almost certainly cheaper trucks. So who's going to buy it? Indeed, Tamiya has its best line up ever, covering everything from terrible old cars with delicate yet pretty shells, to Championship winning race cars, entry level scale TC's, FWD and RWD 1/12 chassis, FF03 racing chassis. Great buggies, rock crawlers, Monster trucks, scale offroaders, Formula one cars, top end drift cars. 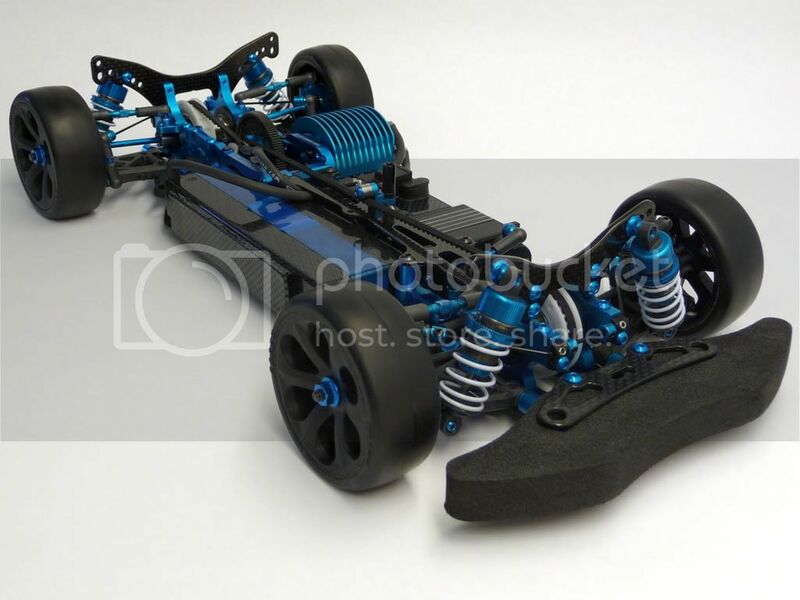 Tamiya is the best its ever been, long may it stay away from the limited useless cars of old. I do completely get where you're coming from with this, and I have to say I'm in the same camp. Whilst I really loathe the Avante with a passion, I see it's "point". Sure I'll never own one, but I can quite understand why people would. I think the most baffling thing about the Vajra is its price. If they'd have done the same thing for half the money, we'd probably be sitting here taking the mick out of it, then someone would get one and come up with a mod that made it look appealing, or find a way of mounting a King Cab shell on it, and suddenly we'd all "get" it. As someone rightly said though, it looks like a Revo, is less capable and costs more.. so what on earth would stop someone for going out and buying a Revo? It's all very well saying "it's not marketed for us", but the point is, just who IS it marketed for? I bought an E-Revo a few months ago and I really rate it. It's fast, rugged and incredibly tough, great fun. The Vajra looks a bit flimsy in comparison, I would bet on the Revo if the two collided!! Looking at the ModelSport website, an E-Revo is £369, a Vajra is £385. 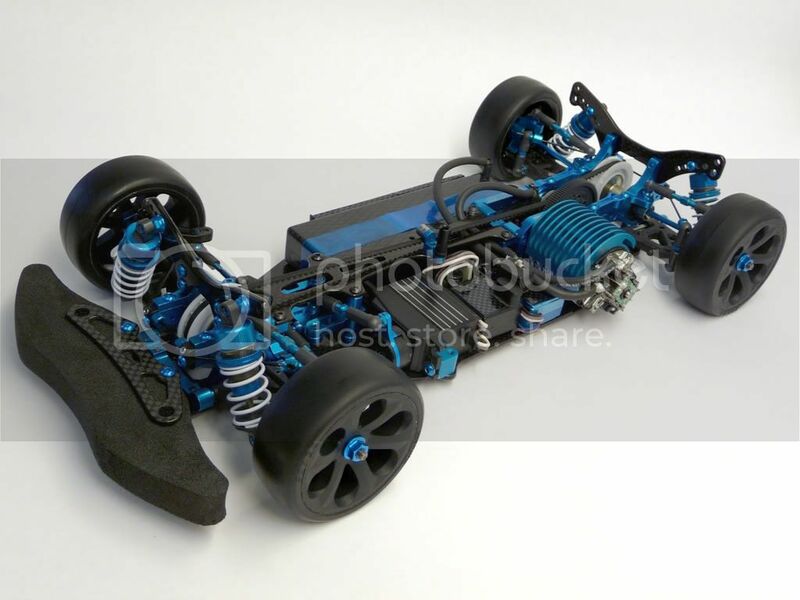 The Vajra needs ESC, radio, batteries etc, the Revo comes RTR with 2.4GHz radio and two 8.4v batts. So a runner Vajra is going to cost around £100 more than the Revo, for potentially a slower, inferior truck. I don't know what sort of market, if any, Traxxas have in Japan so the Vaj could do ok there. But the rest of the world...? That made my coffee come out of my nose! Thanks for bringing out the smutty teenager in me! Honestly I think it's just an excuse to make Avante Hop-ups and help recoupe the cost of the 2011 re-re without producing an overly expensive (titanium screws) Egress kit. I'm looking forward to the ball-race steering and ball-diff torque splitter kits which are a direct result of releasing the Vaj.